Live streaming in real life from different locations? The most important thing is having a reliable Internet connection to serve you while live streaming. Even if you’re streaming IRL on Twitch and you only use your smartphone, you still need that. Remember those choppy videos, buffering screens or even disconnects when you’re live streaming? It’s time to get an essential piece of equipment for your IRL streaming backpack. This will help you always stay online while live streaming with a stable Internet connection. It’s not heavy and it’s not even a physical thing like a special router or streaming box. It’s the Speedify channel bonding app! Why Am I Getting Connectivity Issues While IRL Streaming? We’ve all been there – experiencing unreliable Internet at some point. But it’s most annoying when you’re streaming live to your followers. When traveling / on the go – on the street, bus, train. You may be connected to a bad / spotty WiFi hotspot. In crowded areas – the available bandwidth for both WiFi and cellular data connections may not be sufficient to serve everyone on a stadium, at a concert or at a frat house party. At home – if your ISP is doing maintenance work right when you’re broadcasting live streams. Or if they’re throttling your connection. 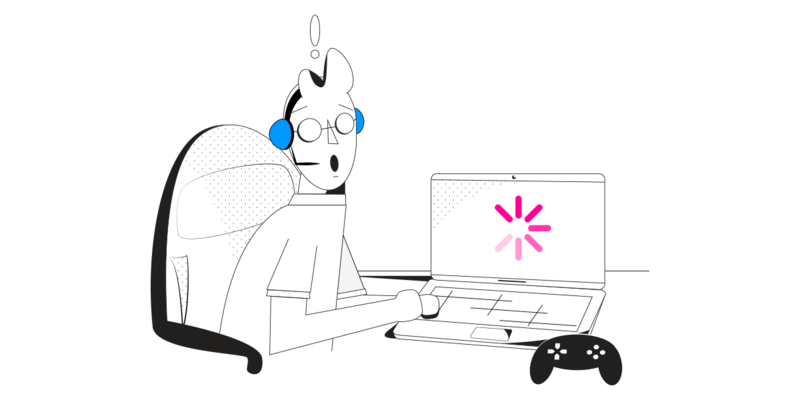 Here’s what happens: if the connection is unreliable, you may not be live streaming at a high resolution due to limited available bandwidth, so your videos may appear jittery or choppy. Plus – if your Internet connection is spotty and disconnects for some reason – you will lose many of your viewers at least for that specific stream. So – your IRL streaming backpack urgently needs an upgrade to be able to handle unfriendly Internet conditions while streaming live. Essential and Decent IRL Streaming Item for Your Backpack: Speedify App! Speedify is the perfect IRL streaming backpack companion. It’s a powerful software app that gets you faster, more reliable and secure Internet. Speedify allows you to use multiple Internet connections at the same time. Speedify runs on computers, smartphones and tablets. Depending on the device, you can combine any mix of two or more WiFi networks, cellular networks and wired networks. By doing that, you’re not only solving the reliability aspect of live streaming through the automatic Internet failover mechanism, but also the bandwidth and latency issues. 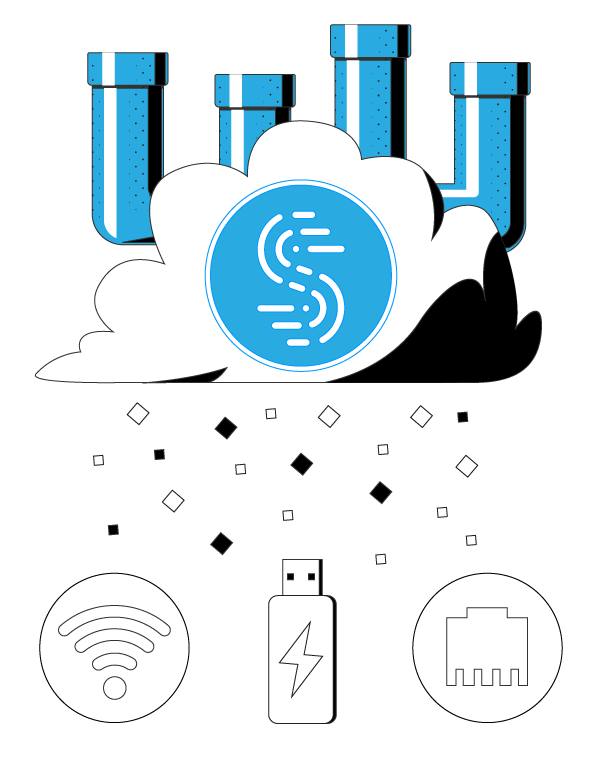 In order to combine 2 or more Internet connections at once, Speedify uses channel bonding technology. It’s the only standalone software service that does that. See below how we managed to combine 10 connections at the same time. If one of your connections fails, Speedify automatically reroutes all the traffic through your other available connection(s). This happens in the background without you having to do anything. When the dropped connection is back online, Speedify will pick it up and start using it again. Speedify Fast Bonding VPN vs Other Channel Bonding Services: Which is Best for Your IRL Streaming Backpack? Channel bonding technology is key to a fast and reliable Internet connection when live streaming. It is not restricted to a single implementation architecture. You can choose a mixed hardware-software solution from companies like Peplink and Mushroom Networks. Or just go with the software-only implementation by Speedify. Many people choose broadband bonding solutions that include dedicated bonding hardware pieces, such as bonding routers or multi-wan (SD-WAN) networking devices. If you’re planning to adopt a hybrid hardware-software solution, here are some things you should consider. Performance – You will be limited by the performance of your bonding hardware and sometimes even by the software. You may have smartphones or computers that can go faster, but it won’t make any difference. Flexibility – Will this solution still be usable if you change something in your current setup? Scalability – Hardware gets old quickly. Does the solution include free upgrades for hardware? Cost of implementation – Hardware adds a cost to the final solution. the speeds of the Internet connections you’re planning to combine. There are no flexibility or scalability issues. When it comes to cost, Speedify is only a fraction the price of mixed hardware-software solutions! Need maximum reliability and want to take it one step further? Enable Speedify’s Redundant mode. This will send each of your data packets on ALL of your Internet connections at the same time. Whichever packet gets through first, is the one to be delivered. Speedify doesn’t just get you a fast and reliable Internet connection when live streaming in real life. 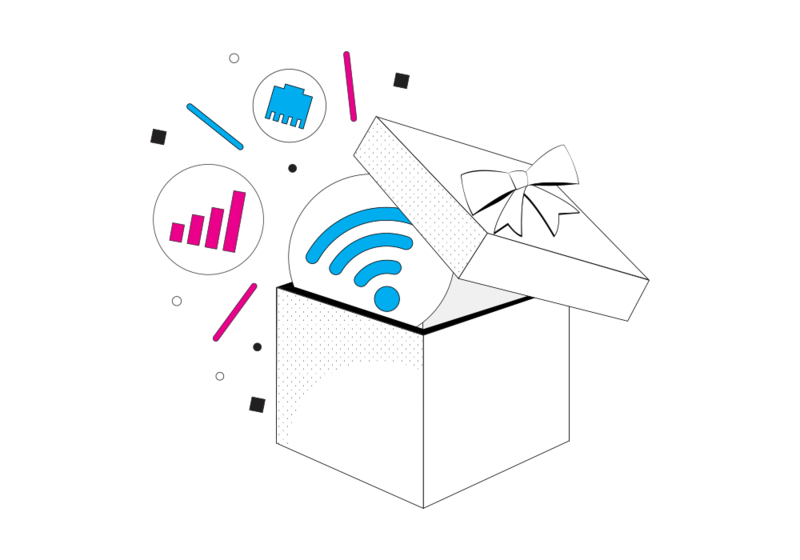 Speedify also protects you from compromised WiFi networks and snooping hackers. It uses advanced encryption to make sure your private data stays under your control. Before Speedify, users often had to choose between security and speed. As Speedify was designed with speed as one of its primary goals, you no longer have to sacrifice speed for security. You can have both. Forget about low quality video streaming, buffering or even disconnects when IRL live streaming! Get started with Speedify today!